Last edited by AmidstStorm on Thu Feb 23, 2012 11:12 am, edited 7 times in total. Good to see others on here that play things like this. I played this a fair bit back when it came out, but have to say I never really sussed out the scoring either. I can't remember which run on my highscore board was the fixed rank 3 clear. Little tip that will 'massively' boost your score, that I noticed. The thing that flies around with you that you can rotate and fire from (sorry can't remember what it's called). When you attack big enemies as well as bosses and things like the snakes on that certain level and all the rocks that spit out bullets. Keep your 'thing' actually touching the enemies as you fire and watch your score boost dramatically. If you get it down and can clear the game, I guarantee you will be in the billions. That's the only thing i've ever sussed out as well as releasing all hell once your counter is maxed obviously. Good luck. Let me know how you get on. I may have a few credits later see if i can improve on my score. The scoring in arrange is.... strange. Honestly, not one of Cave's better arrange modes. It's also really broken in some ways. 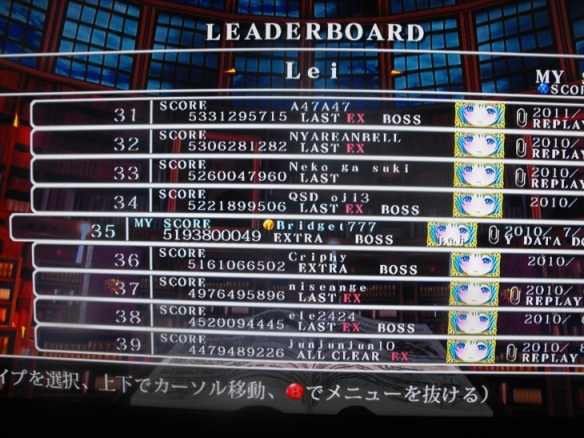 If you use Lei, for instance, you barely need to MOVE in order to get monstrous scores; there's a trick to it, and it's not at all hard to do. It's one of THOSE arrange modes. But it's very easy even to start with. I wont bother posting a score for this mode. 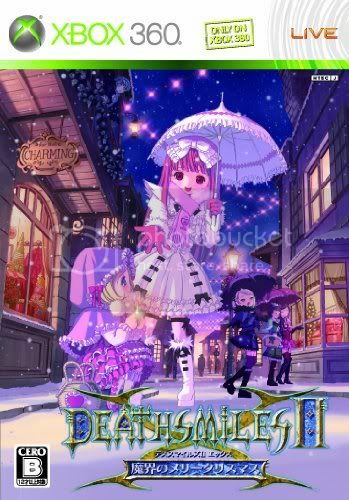 Kinda wanna get back to the main game here at some point though. Yeah i'm thinking about playing it tonight. Don't think i've played Arcade mode yet, so might hit that. Somehow i wiped my boards by accident. Played a few credits, first time in a long while. Still don't get the scoring. Winged it. AmidstStorm wrote: Somehow i wiped my boards by accident. Played a few credits, first time in a long while. Still don't get the scoring. Winged it. Isnt there a scoring guide on the shmup forums somewhere? If not I could probably write up a quick description if you want. Im pretty sure there is. i just don't learn these things on any game. I do have a love for this game though. It's just enjoyable to play, easy as it may be. 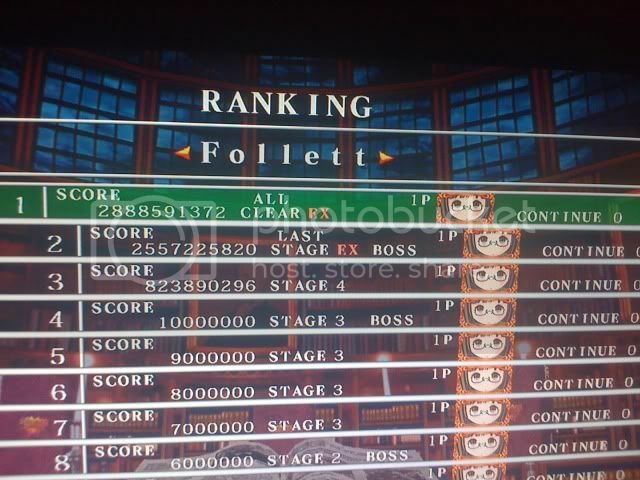 I still get caught out on rank 3 final boss sometimes, though i have cleared it. Also goddamn that Ex level boss(es).. always snag me. 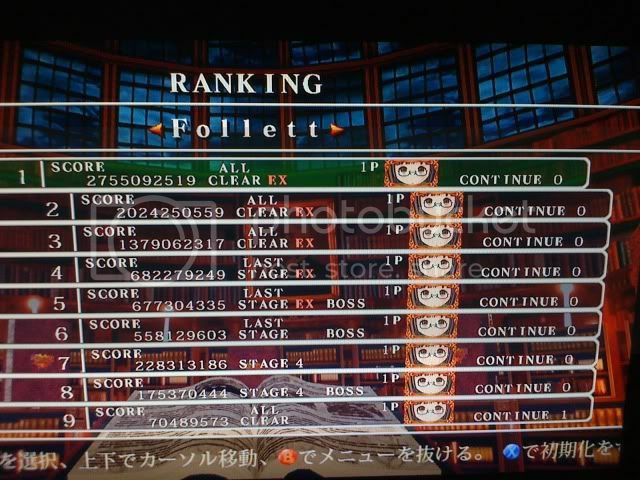 By the way that last score on IIX Mode, i did all on rank 1 to get myself aquainted with the game again. I remember the higher the rank effecting the overall score. I'll be back with something better soon i hope. Is the Arcade mode any harder. I've not tried it as it was a strain on my eyes after playing IIX Mode. AmidstStorm wrote: Im pretty sure there is. i just don't learn these things on any game. I do have a love for this game though. It's just enjoyable to play, easy as it may be. I still get caught out on rank 3 final boss sometimes, though i have cleared it. Also goddamn that Ex level boss(es).. always snag me. By the way that last score on IIX Mode, i did all on rank 1 to get myself aquainted with the game again. I remember the higher the rank effecting the overall score. I'll be back with something better soon i hope. Is the Arcade mode any harder. I've not tried it as it was a strain on my eyes after playing IIX Mode. I honestly dont really know. The Arcade mode's scoring system is boring to me in the same way that the first game's scoring is boring, so I've honestly just completely ignored that mode. Even just WATCHING someone play it is dull. In terms of pure survival difficulty though, it's not going to be harder than IIX. Same patterns. It might be harder to score on? I have no idea.